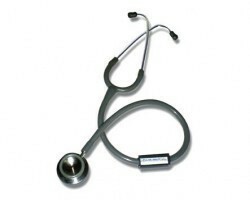 A stethoscope is a medical acoustic tool that is used to listen to the internal sounds of the animal or human body. 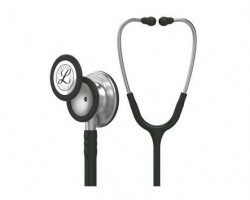 The lungs, abdomen and heart are the main areas the doctor examines by listening during auscultation. 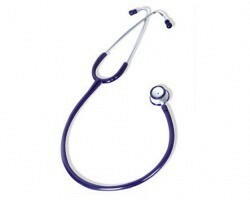 Abnormal sounds may indicate symptoms of health problems, for example, irregular sounds from the chest and back area of the body may indicate build-up of phlegm. 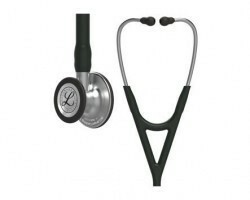 The first prototype for the medical stethoscope was invented by René Laennec in 1816. 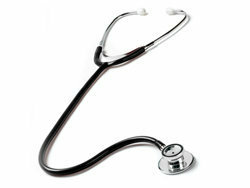 In 1852, George Philip Cammann perfected the binary stethoscope, versions of which are used in modern-day medical practice. 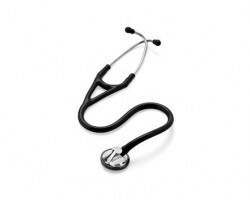 A recent research paper claims that the stethoscope, when compared to other medical instruments, had the highest positive impact on the perceived trustworthiness of the practitioner seen with it. 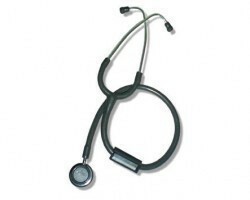 What are the types of Stethoscope? 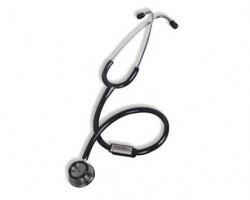 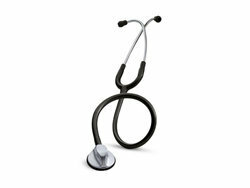 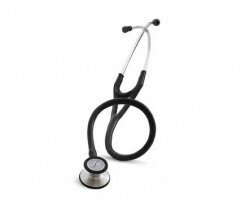 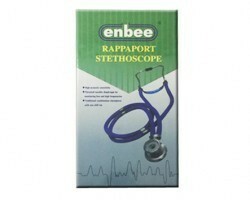 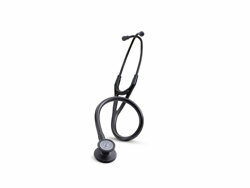 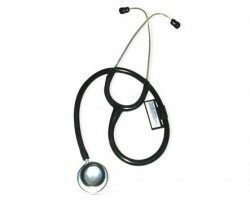 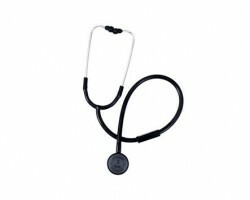 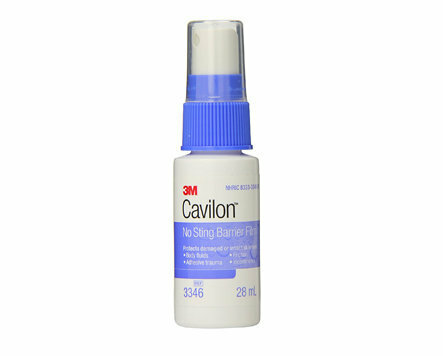 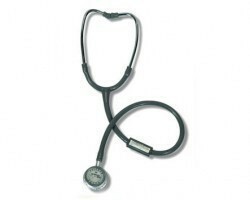 Standard or classic stethoscope which is a regular stethoscope used by medical practitioners for examination purposes. 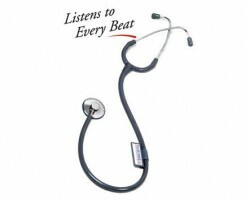 Cardiology stethoscope which has larger earplugs to seal out ambient noises and has a superior design head set. 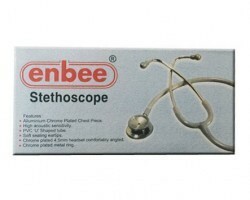 Infant, Neonatal or paediatric stethoscopes which are designed for use in patients with smaller chest sizes. 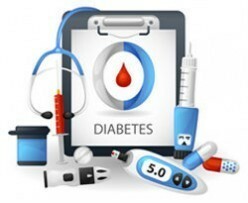 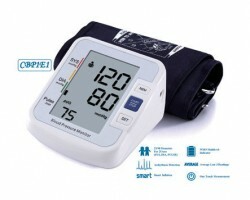 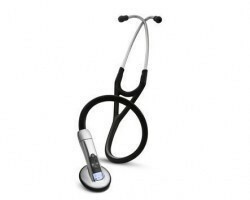 Electronic stethoscopes utilize advanced technology to overcome the shortcomings of regular stethoscopes. 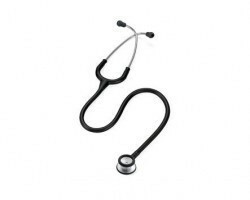 The problem of poor sound levels is overcome using the electronic stethoscope which amplifies the sounds of the body, making them more audible and easier to comprehend by physicians during examination. 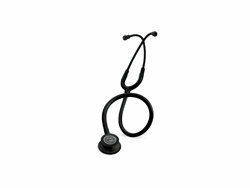 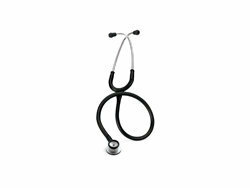 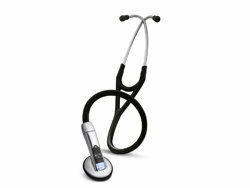 A large range of stethoscopes from leading manufacturers like 3M Littmann, Enbee, Pulsewave, Rossmax and Srishti are available on Smart Medical Buyer for discounted prices. 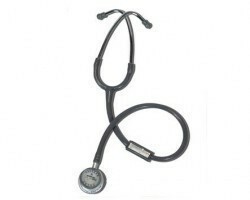 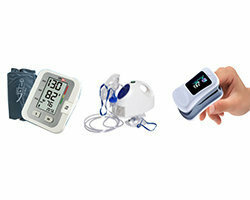 SMB currently offers regular, cardiology, infant, paediatric and electronic stethoscopes. 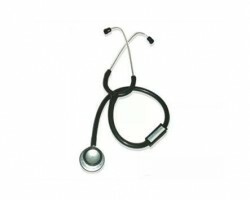 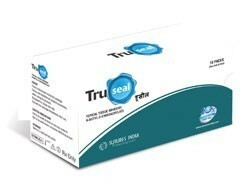 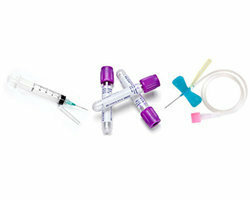 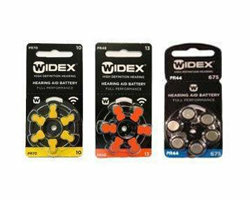 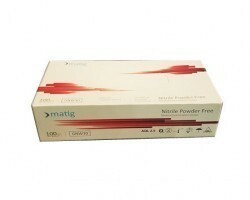 Due to their high demand, some of the products of this category are available for next-day dispatch. 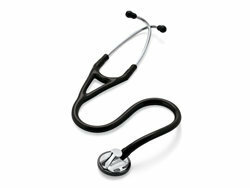 Stethoscopes are also available for purchase on the Smart Medical Buyer apps for android and iOS.